Annakoot is celebrated every year to give thanks for the good year that has just ended and the new harvest that has just been received. 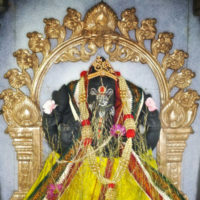 People go to the temple for darshan (to see the Gods) and offer their prayers. Many varieties of vegetarian food, exotic fruit and vegetables are offered and displayed like art. Everyone dresses up in their best clothes and jewelry and visits their friends and relatives at the temple to offer best wishes for the New Year. Most gather in the temple, sing bhajans, and some play musical instruments. Aarathi is performed and then everyone enjoys a special meal. 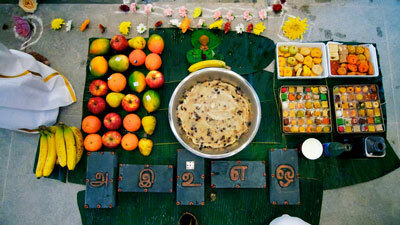 All the food displayed for Annakoot is offered as prasad to all the devotees. Since Annakoot has always taken place during the harvest time, the Vrindavan people prayed to Lord Indra, thanking him for providing plentiful rain that nourished their crops. Lord Krishna pointed out that Indra was just carrying out his duty given to him by Lord Vishnu. 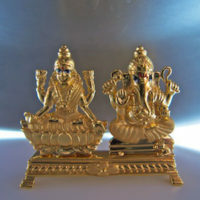 The people then stopped praying to Indra and he became very angry, unleashing severe rain and lightening for many days. To protect the people from flooding and other danger, Lord Krishna lifted a mountain and used it as an umbrella to protect the people. The people were very happy and jubilantly surrounded Sri Krishna. They were awed by his superhuman accomplishment and celebrated Sri Krishna’s feat with a sumptuous feast. Indra realized that Krishna was Vishnu and joined the people in celebration. Thus began the tradition of Annakoot. On this day, the Vrindavan people began life anew. 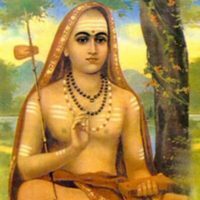 Thus, the Vrindavan (Gujarati) people started to celebrate this day as New Year Day.